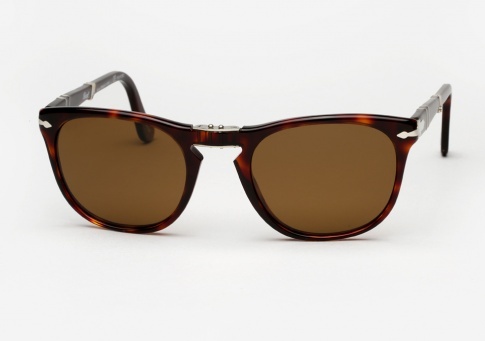 Persol 3028 - Tortoise Need Help? Featuring Persol’s Iconic Supreme Arrow metal hinges, Meflecto temples, and classic Keyhole Bridge. Handmade in Italy and offered here in Tortoise paired with brown polarized lenses.